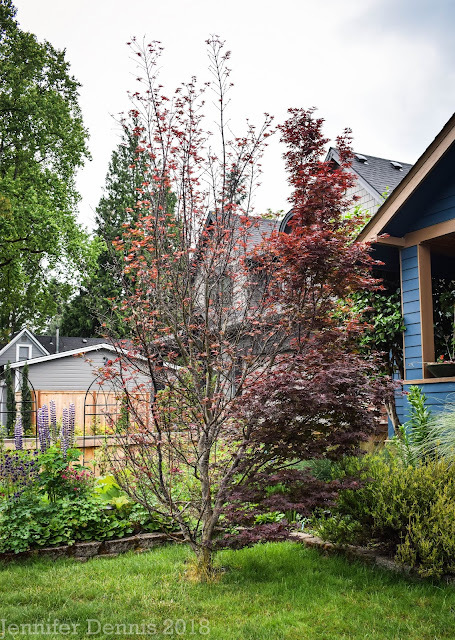 Last summer, during the awesome Garden Bloggers Fling, held locally here in Portland, Oregon, we had the delightful opportunity to visit Timber Press, publishers of garden related books enjoyed around the world. We were gifted goodie bags that included books and assortedly cute party favors. I was happy to receive 'Plantiful', by Kristin Green, in my goodie bag, as I had been wanting to read the book. I recently read a well written review of the book here, by Jennifer Jewell posted on the Pacific Horticulture Society website. I don't pretend to be a marvelous garden writer, or someone witty enough to write a bang up book review, but I felt compelled to offer an alternative view point to Ms. Jewell's. 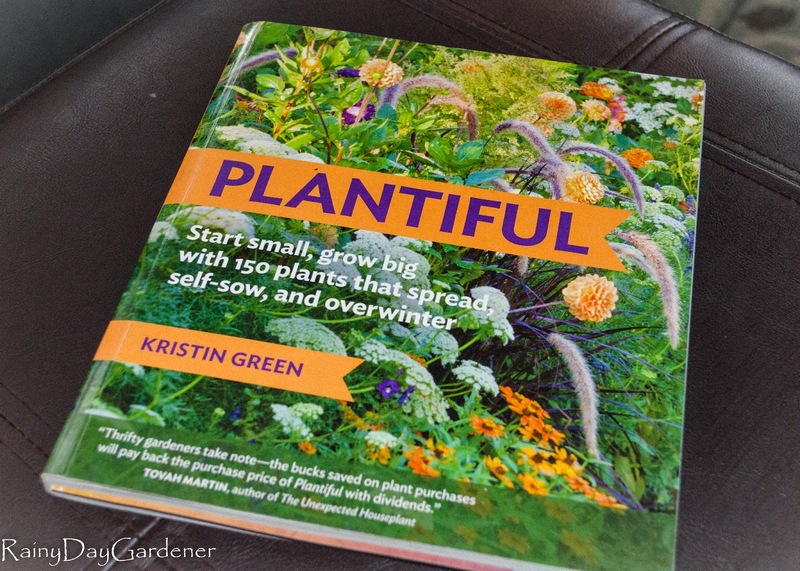 The book, Plantiful, is a very simple read, with engaging, colorful photos that encourages even the most shy to get excited about starting seeds and propagating a garden full of blooms by old fashioned means. As the author focused on starting plants from seed that self sow, she was careful to provide warning that some of these plants can be invasive and have the potential, depending on zone, to become difficult to manage. I was most appreciative of the book's emphasis on creating a garden of abundant blooms via frugal means. So often, in my humble opinion, I read garden blogs and articles that give little regard to the cost associated with gardening. The cost is a barrier for many who might otherwise be interested in this joyful hobby. I think about the demographic I fit into: Female, Gen X'er, parent of young children, household manager (while still working outside the home); short on time and definitely short on money to pursue my own passions (like gardening). I have so many friends and neighbors that fall into this category. They often feel put off by gardening because they associate it with a cost they cannot afford, and thus, do not wade in. Plantiful offers a different perspective. This lively book is full of encouragement and resources to motivate and offers a frugal and low cost alternative to what can at times be an expensive hobby. It also encourages the development of skills that by some accounts, are becoming very lost in the modern landscape; plant propagation and growing from seed. I read many rumblings across the garden blogging landscape....complaints that gardening isn't catching onto younger generations such as my own. I think more books like Plantiful would help reverse this trend, especially in the light of our current economic times. Plantiful get's a 'Bravo!' from me. Note: I received my copy of Plantiful for free from Timber Press. I was not asked to provide a review, nor am I compensated by either the author or the publisher for this review. Bravo, Jenni...I so agree. There are so many ways to get into gardening without breaking the bank. One of them is use of the library. I am heading there right now to order this book. The HPSO library is a great resource, and lends books for a whopping 5 weeks. Plenty of time to soak up info and make copious notes. Well, gardening is certainly appealing to the younger generations in MY family - both daughters are very keen, and the oldest granddaughter too (the others are almost bound to follow in due course!). I agree with what you say about some people "throwing money at their gardens". I always think twice before I spend something on my hobby, and try to get the best value for money - e.g. looking for the pots that have TWO plants in them rather than one, at the Garden Centre. Persuading manufacturers / retailers to send you things to review on your blog is also something worth doing. I have this book on my bedside table and I intend to start reading it very soon. I totally agree with your perspective - gardeners should learn to take advantage of plants that are fruitful and multiply. It can indeed make an enormous difference to the cost of gardening. Good review. Intrigued to read the book. Is it applicable to a variety of zones? We are enjoying an abundance of calendula, borage & feverfew blooms in our garden at the moment. The calendula & borage came from our daughter's school garden's seeds & seedlings 2 summers ago, & they've been self sowing & multiplying ever since. We do have to pluck many stray ones, but the pop of easy, welcome color is worth it, especially this time of year when there's less activity in our garden.